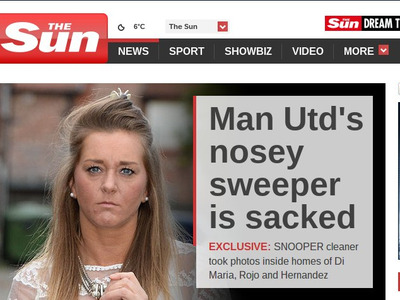 The SunSun digital subscribers pay £7.99 a month to access its digital content. The UK’s biggest newspaper, The Sun, claims its number of digital paid-for subscribers has more than doubled in a year since it last reported its behind-paywall figure to 225,000 users. The newspaper says the majority of these users are billed £7.99 per month, the equivalent of buying a print copy four times per week. For that amount, users get access to The Sun’s digital journalism, near-live highlights of English Premier League and Scottish Premier League goals, the Dream Team fantasy football game and “Perks” – such as free gifts, offers and competition entries. That figure may seem low considering most major news sites are now attracting tens of millions of online users each month (even those with some sort of paywall, like the Wall Street Journal), and, indeed, it is down on the 30 million unique visitors The Sun’s website was reporting in August 2013, before the publisher News UK took the decision to erect its paywall later that month. However, it is up on the 117,000 subscribers the website reported in December last year. Many of these new digital customers have been attracted in at a cost to News UK – such as offering free annual subscriptions to people buying Tesco’s Hudl tablet or those signing up to new contracts from phone operator O2. There has also been some cannibalization between print readers moving to digital, the company admitted. News UK says The Sun’s total paid sales (which combines the newly-announced digital figure and the newspaper’s print October ABC figure) are now at 2.20 million, down 2.2% on the previous year (and down 5% for its Sunday audience). However, the publisher says that compares to an annual decline of nearly 8% for the popular/middle section of the market in October. Analysts have previously said The Sun’s digital offering would need to attract about 300,000 paying subscribers to break even and cover the reduction in display advertising and the estimated £30 million it paid for the rights to exclusively broadcast Premier League football highlights. However, that “exclusivity” has come into question since the rise of apps like Vine, where individual users can post videos of goals directly to Twitter sometimes seconds after the ball goes in the net. In August the Premier League warned it planned to “clamp down” on users posting unofficial videos from games (or from their TV screens as they watch games at home), according to a BBC report. At a media event at News UK’s London HQ on Monday to announce the new digital figures, The Sun’s editor David Dinsmore admitted in answer to a question from Business Insider that goals posted to Vine was an “issue” and that Twitter, which owns Vine, will “need to step up” in the area of rights protection. He referenced YouTube, which has sophisticated take-down tools to identify when companies’ intellectual property has been uploaded to the site without permission. Overall, The Sun says it is happy with the progress of its paid-for online offering. Dinsmore added “This is a long term game, and the idea that within 18 months suddenly we are all driving around in Rolls Royces is probably still not the case. This is going to be a long term thing. But the progress to date fills us with a huge amount of hope for the future an enthusiasm.